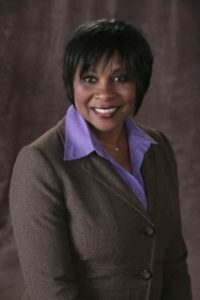 Dr. Pamela Williamson, President & CEO, at the Women’s Business Enterprise Council West (WBEC-West), is an exemplary, dedicated individual, and has extensive experience as a senior leader for over twenty five years. She has served as the CEO of a SABA 7 consulting firm, overseen quality control at a Psychiatric urgent care facility of a National Behavioral Health Care Organization where she served as Vice President and Deputy Director, and currently serves as the CEO of WBEC-West, one of the nation’s largest third-party certifiers of businesses owned, controlled, and operated by women in the United States. In her tenure so far, she has managed to reorganize 3 organizations and has successfully turned each one around both programmatically and financially! Her extensive experience in developing and implementing innovative alliances with key stakeholders has enabled the organizations she has worked with to reach new levels of growth and stability. Her ability to lead and empower staff members creates a strong team environment which filters throughout the entire organization. For women-owned businesses in Corporate America, she sees a promising future and takes an active role in facilitating connections between corporations and women business enterprises. She holds a Doctorate in Healthcare Administration, a Master’s degrees in Business Administration, and bachelor degrees in both Psychology and Sociology.